What is The Atlas Foundation? “We started The Atlas Foundation three years ago and it now helps some of the poorest kids in the poorest places, many living in terrible circumstances, helping them through the power of rugby and the respect, fun and enjoyment of what rugby brings. What inspired the formation of The Atlas Foundation? What is The Front Row Club? 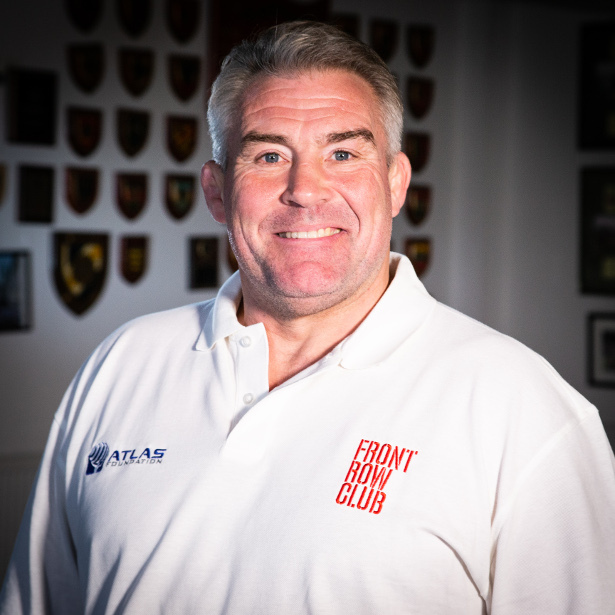 “The Front Row Club is a membership club which people can sign up to for just £10. I played in the front row, most front rows are very social and it’s an online club where you can keep in touch with other members. There are incredible prizes up for grabs and discussion platforms, it can be serious questions or someone could be moving countries with a job and use the club to get connections in that country. What a great year for rugby? “Yes I think it will be interesting to see how the Premiership goes. It is one of, if not the, hardest leagues in the world so we will have an interesting finish. Then the Champions Cup with the Irish and French sides battling it out and Saracens will also want to play their part. Interview conducted by the Rugby Rep Curator.